Did Your Healthy Habits Take a Break for the Holidays? Get Back on Track! 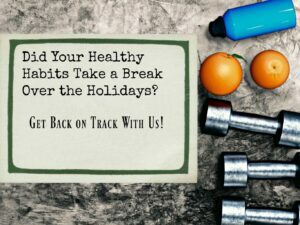 Did Your Healthy Habits Take a Break for the Holidays? Get Back on Track With Us! Like most of us, my husband and I have gotten a bit off track over the holidays. Typically we adhere to the 80/20 rule where 80% of the time, we eat right and make smart choices, stay active and pay close attention to the blessing we have with our good health. This is a sponsored post on behalf of Mom It Forward and the Council for Responsible Nutrition. All opinions are my own. Over the last month or so, we didn’t do so well. We just returned from a holiday getaway where our healthy habits took a vacation too! We found an easy way to get back on track for the new year simply by taking a daily dietary supplement as a way of filling in the gap for nutrients in our meals. We learned we are not alone here. According to the Council for Responsible Nutrition, more than 170 million Americans take dietary supplements annually. By far the most popular is simply a multivitamin. Again, according to the Council, 75% of supplement users are taking multivitamins. We are not health experts, of course, and we are aware that dietary supplements can play an important role in good health but they are not a substitute for otherwise healthy habits. We still buy car insurance even though we’ve never had an accident, and we buy homeowners insurance even though we’ve never filed a claim. Taking supplements is similar to buying insurance that your dietary requirements are being met. So talk to your doctor or consult your health care provider about what dietary supplements might be right for you. Let’s be proactive together and make smart choices. This is a big year for our family! Both of our children are getting married and we don’t want to miss a moment of the planning, the parties, and the excitement. 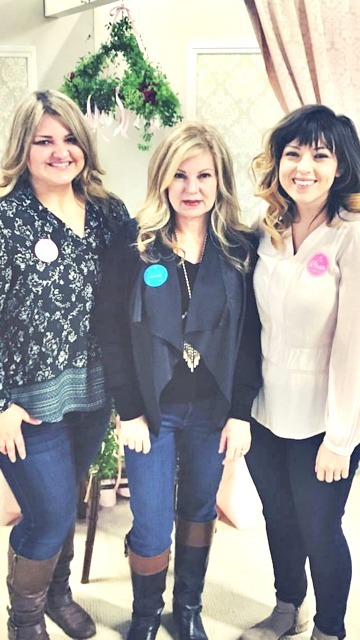 Here is a picture of me and my two blushing brides to be, (my daughter-in-law and daughter) taken at a Bridal Fair last weekend. It takes energy to keep up with these two! So there you have it. An appropriate dietary supplement might be a good “insurance policy” for an otherwise hectic and busy lifestyle. Dietary supplement users are more likely to engage in other healthy habits, such as exercising regularly and trying to eat a balanced diet, than non-users, according to a survey from the Council for Responsible Nutrition. My healthy habits didn’t take a break. They were fired! I’m all about being healthy, but not during the holidays. I love my holiday nom noms! I usually kick my healthy habits to the curb during the holidays. I enjoy holiday food too much. I DO get myself back on track once the season is over, though. It’s so easy to get carried away during the holidays! I am eager to fall back into my usual, healthier routine which includes lots of exercise and good eating habits. I did pretty well over the Holidays to stay on my diet. I have been wanting to add supplements to my routine. Yes, it did and I feel so guilty. Lol. I’m glad, though, that I’m back on track. Back to eating healthier meals and walking. I stayed pretty on track this holiday. I am all about supplements. In fact, my latest blog post is about supplements – liquid or pill form… which is better!!? I took a long hiatus. It wasn’t on purpose because life just got in the way and it was too time-consuming to keep up with logging my food/activity. I just restarted my fitness and weight loss journey yesterday. This is good advice! I’m adamant about taking supplements regularly to help optimize my overall health. I think the holidays are fun, but the food does get to you sometimes. I started eating healthier starting this year, and so far things are going alright. Yes, my healthy habit break out when holidays and it makes me feel so guilt. This time I started again my healthy habits. I’m really happy that my healthy habit didn’t break. I’m trying to stay on my diet that time and dont be temp lol. I’ve been unhealthy the entire holidays and now it is time to get into a better eating schedule. We trying to eat more clean and healthy this year. I threw all my healthy eating habits out the window over the holidays. I am slowly trying to get back into the grove. I think you are right I definitely need to include a dietary supplement in my diet. Great tips! The holidays can be rough on diets, but I’m happy to say that so far this year I’ve been doing great eating healthy!